New York (TADIAS) – As President Barack Obama and his family wind down a three-country Africa tour this week in Tanzania, their stay in Dar es Salaam will coincide with the African First Ladies Summit. Hosted by the George W. Bush Institute the summit features keynote addresses by President and Mrs. Bush as well as expected appearances by First Lady Michelle Obama, Ethiopia’s First Lady Roman Tesfaye, Tanzania’s First Lady Salma Kikwete and other African first ladies. 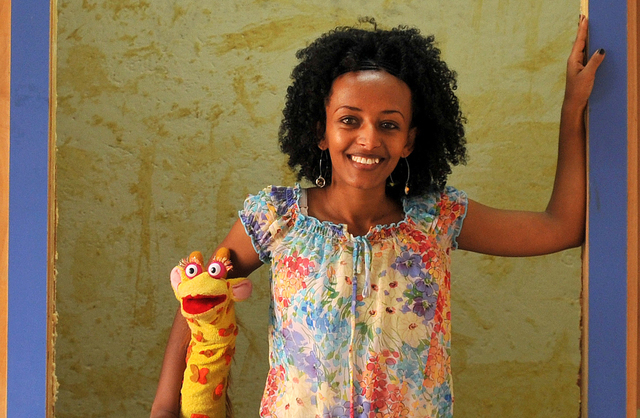 In addition, Bruktawit Tigabu, the co-founder of Whiz Kids Workshop PLC and co-creator of the Ethiopian educational children’s TV program ‘Tsehai Loves Learning,’ has been invited to participate as a panelist to discuss interventions that utilize public-private partnership models, cross-sector collaborations and technology to improve access to literacy and teacher training. Watch webcast of the African First Ladies Summit at bushcenter.org.